Friends reunited on the way to Kintyre. 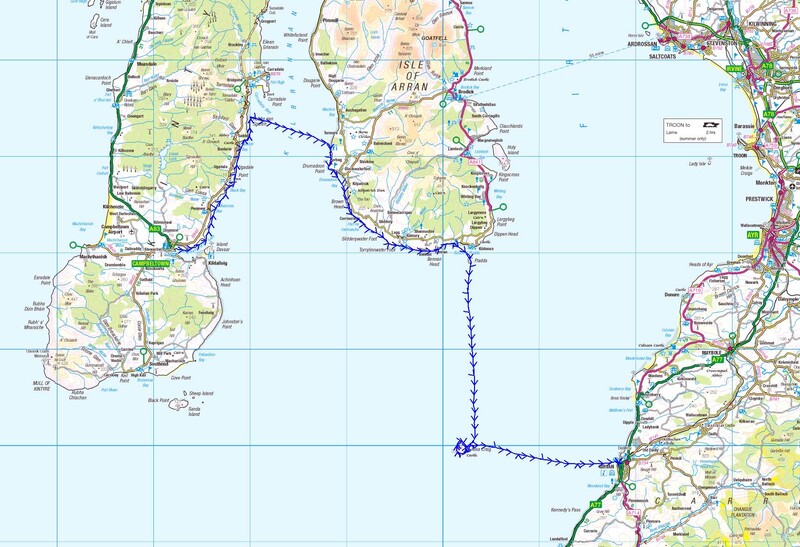 Back in mid June, Tony and I set off on what was to be a fantastic sea kayaking trip from Campbeltown across the mouth of the Firth of Clyde to Arran, Ailsa Craig and finally to Girvan in Ayrshire. 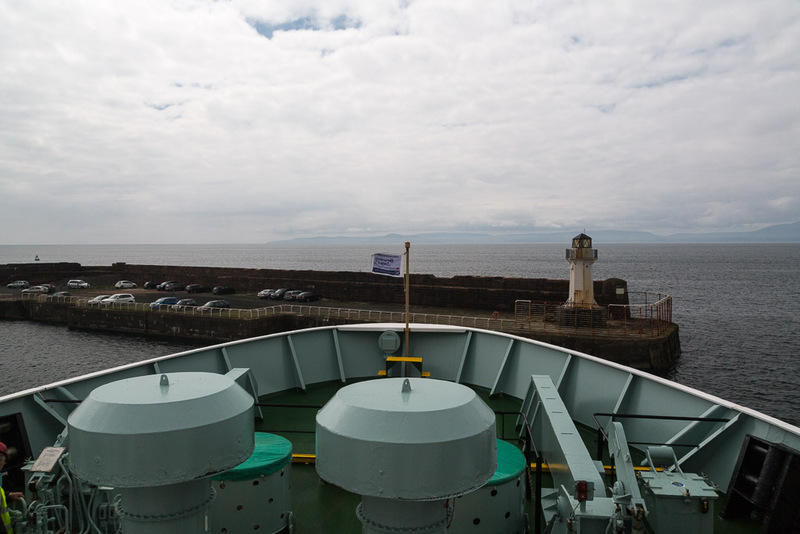 We set off on the Sunday evening ferry from Ardrossan to Campbeltown. 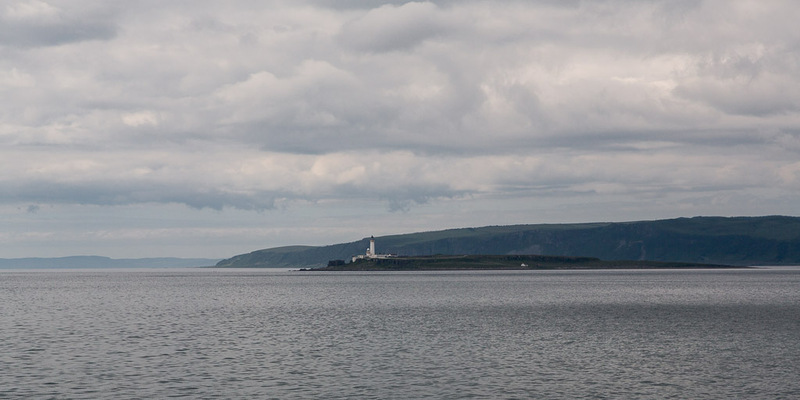 ...Pladda with its Stevenson lighthouse on the way. 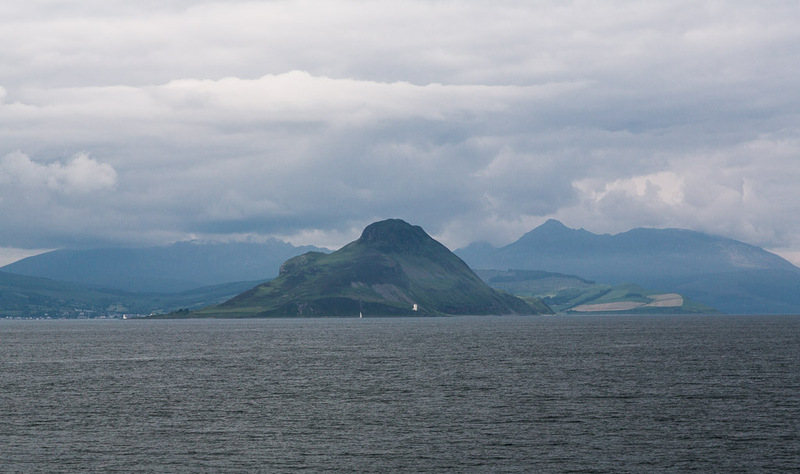 Ian, Mike and I had landed on both of these islands on our recent circumnavigation of Arran. ...and a very great pleasure to meet the family of the late Jim Broadfoot. Jim was our longstanding and very great sea kayaking friend with whom we had paddled extensively in the Solway Firth, the Mull of Galloway, the Firth of Clyde, the Sound of Jura, the Firth of Lorn, the Southern Inner Hebrides, Ardnamurchan, the Sound of Arisaig, Skye, Wester Ross and St Abbs Head. I am pretty sure there were other places as well! 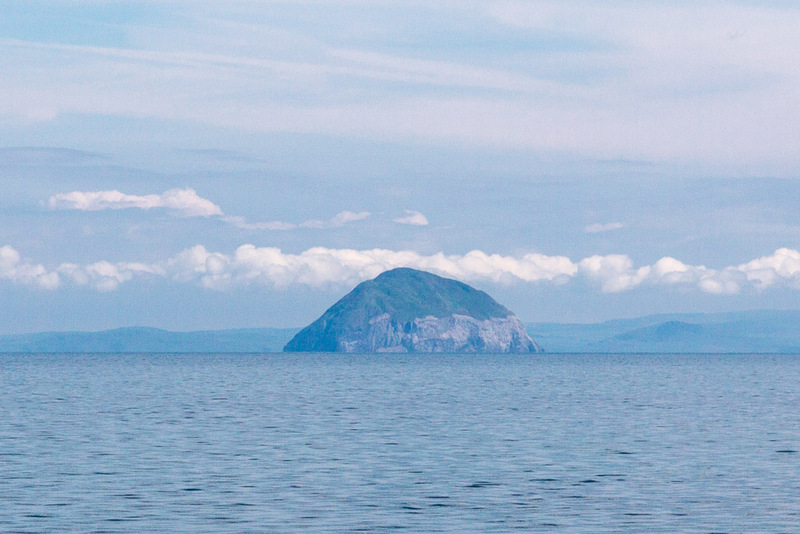 In January 2010 Jim steadied my kayak while I buried my father's ashes at sea off Balcarry Point on the Solway. Although we miss Jim very much, we were fortunate to share so many wonderful trips with such a good friend. It was great to see his family looking so very well. I knew it was Jim's birthday because we had celebrated Jim's 50th birthday on this day in 2009 on the north end of the Isle of Coll after paddling out to Coll and Tiree from Ardnamurchan. It turns out that Jim's family take a little trip on the water together each year on Jim's birthday. What a great thing to do! 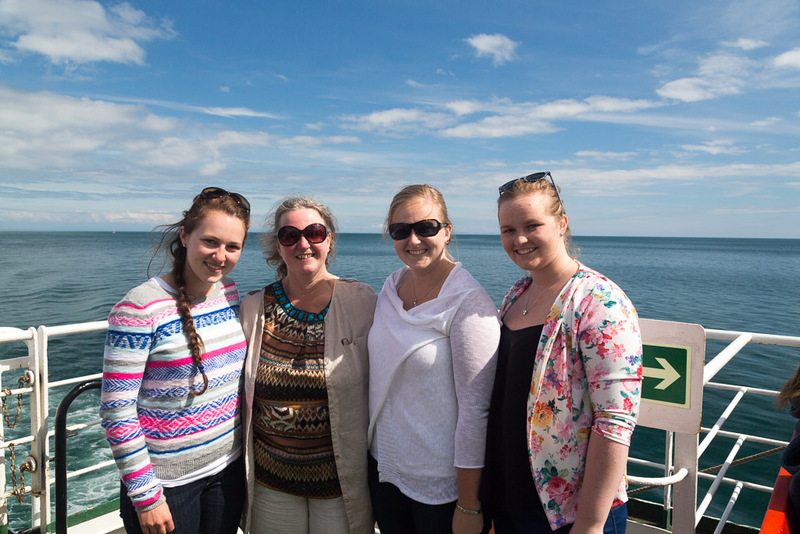 They were taking the ferry out to Campbeltown then returning to Ardrossan as a summer evening cruise. Mind you it must have been a bit of a busperson's holiday for Jim's daughter Lorna as she had spent part of her training to be a Merchant Navy Deck Officer on board the very ship we were on... the MV Isle of Arran!